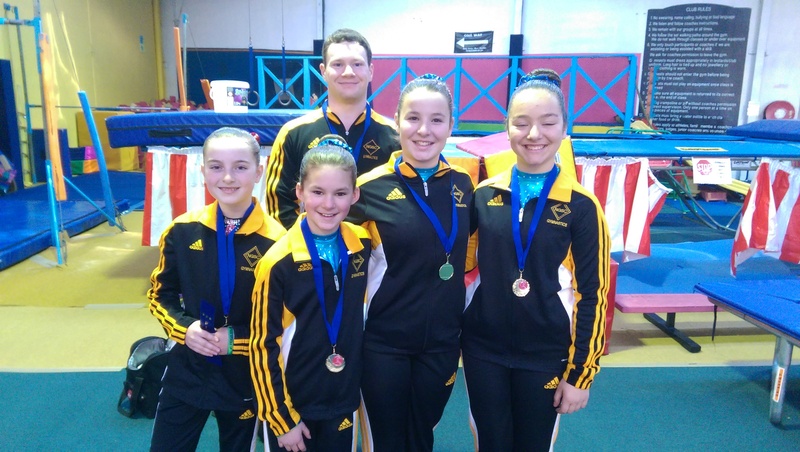 The Acrobatic Gymnastics Technical Committee of Victoria ran an invitational competition at Essendon Keilor Gymnastics Academy on Sunday July 31st. Our Development Squad competed successfully which is detailed in a separate article. Connor and Amelie our Level 6 mixed pair continued on from their achievements at Australian Championships coming First overall. This was a very encouraging result as many of their skills are in development so had to be pulled back for the competition. The level 5 trio of Olivia, Tianna and Heather competed together for the first time. Their result of First overall was even sweeter considering they have one more skill to go into a routine. With Victorian Championships only three weeks away, it was a fantastic opportunity and result. Thanks to our coaches and judges for their time on the day, plus family and friends for supporting the acrobats – is always appreciated.